The ‘ash’ sound is something I’ve been struggling for quite some time during my American English practice sessions. 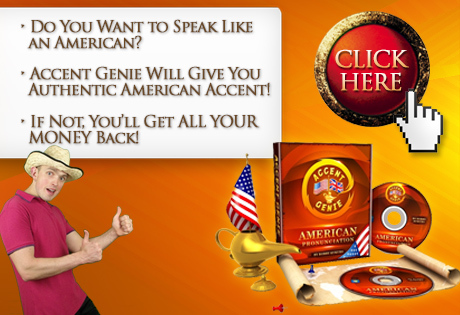 It all started when I received a comment on one of my YouTube videos saying that my General American Pronunciation is quite good except for the pronunciation of certain words – ‘can’ among them. It made me listen to how native American English speakers pronounce that word, and I realized that real life pronunciation actually differs from the phonetic transcript! Any dictionary will tell you ‘can’ is pronounced as [kæn] where the middle vowel is called ‘ash’. What I observed in countless of videos and interviews watched on YouTube was quite different – ‘can’ is actually pronounced somewhere in between [kɛn] and [kæn]; basically they don’t open their mouth as wide as when pronouncing the letter ‘A’ in words such as ‘gas’ or ‘mad’, for example! The most confusing thing of it all, however, is the fact that nothing is set in stone when it comes to pronouncing the ‘ash’ sound. In some situations the word ‘have’ is pronounced almost as [həv] with the ‘shwa’ sound in between the two consonants, in others they will actually open the mouth fully and pronounce it as [hæv]. I’ve been spending quite a lot of time browsing the Internet trying to figure out how I’m supposed to know when to pronounce the letter ‘A’ as [æ] and when it’s pronounced almost as a shwa [ə] sound, but I honestly didn’t find any information that would help me to get rid of the guesswork. In the end I came to a conclusion that this is one of those sounds in American English you just have to ‘feel’. You just have to spend a lot of time listening to American English speakers and repeating what they say in order to develop that ‘gut-feeling’ for the ‘ash’ sound, I really haven’t got any other advice to give you, my friends! You’re a life-saver, this is EXACTLY the type of information I was missing and it provides LOADS of answers to questions I’ve been having in relation to the American “ash” sound!!! I can be wrong but I’d think that the letter “a” is pronounced as [æ] or as the sound between [æ] and [ɛ] when it’s stressed in a sentence or if you want to emphasize something and as schwa [ə] when it’s unstressed or unemphasized. The more the letter “a” is stressed or emphasized in a sentence the more it is like [æ]-sound or like the sound between [æ] and [ɛ] and respectively the more it is unstressed or unemphasized the more it is like schwa [ə]. At least my conclusion is equivalent with the well-known principle where you should pronounce some letters as schwa when they are in a unstressed syllable. In other words the pronunciation depends on both the nature of English as stressed language and also the speaker’s emphases. I don’t know what kind of answer you were looking for but could this simple conclusion be the answer? Thus if it’s answer you could decide by yourself the pronunciation of “ash”-sound in some situations depending on your emphases. Naturally you can decide your emphases in your own speech and in the same way you can decide the pronunciation of “ash”-sound based on your emphasis. But the main problem still remains because how can you know whether the letter is in stressed syllable or in unstressed syllable? Some time ago I watched a good video about the pronunciation of American English but unfortunately I don’t find it again. But anyway the pronunciation of American English is sometimes really confusing even in the case of very familiar words like can and can’t. Reportedly Americans can sometimes pronounce “can” as unstressed [kən] which sounds almost like “kn” because schwa is so weak sound and “can’t” almost as “can”! This makes real life listening comprehension much more difficult for foreigners. Sorry for the delay in responding to your comment – I had to schedule the video recording and editing (I decided the best way to handle my response would be by recording a video message!) and now I finally got round to it. I hope all I’m saying in the video makes sense, don’t hesitate to ask further questions! Next post: Sorry to Keep You Waitin’ for New Content! Previous post: Ignore Negative Feedback on Your English Pronunciation!